After a full month of blogging non stop all of last month, we took a short break of three days to start yet another Edition. I know it might sound really strange that we end up cooking so many dishes. Reality is, this time round, I tried to be little smarter and saved up dishes that could meet the requirement for this month too. 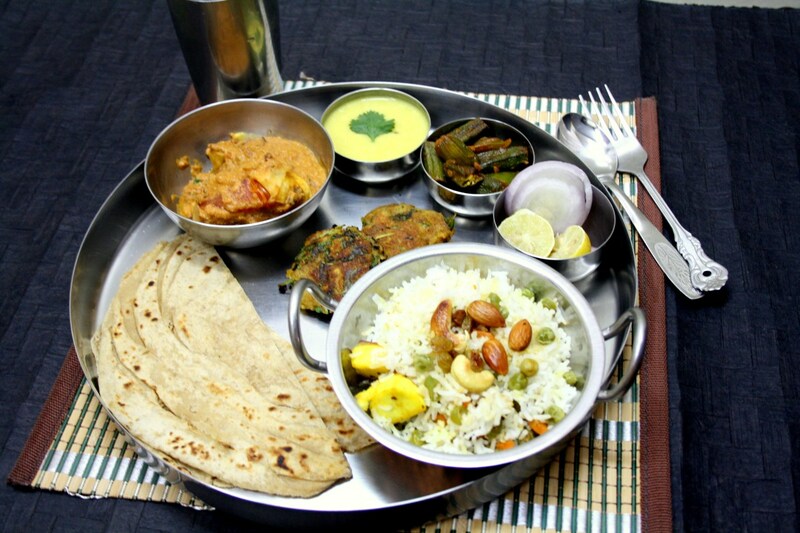 After the heavy thalis and other International dishes, I was not in a position to cook more. So taking it easy, I decided I would share some party dishes that will be suitable for my Spice your Life!’s Anniversary party! As per the event, the dish should be party special and kid approved as well. When you think of a party, you naturally end up planning all rich and creamy dishes, especially for kids who might also like the different colours that adorns the table. I was most unprepared and almost gave up not making these Kababs. could include for this Menu and this Kabab was in the list. I shallow fried some and rest pan fried. Both tasted great. If these have to be deep fried, you will have to bread it well before deep frying for that crunchy effect. Vaishali’s Kababs were done on Seekh rods, I ended up making as tikkis for want of time! Chop the blanched spinach very finely. Squeeze excess water. 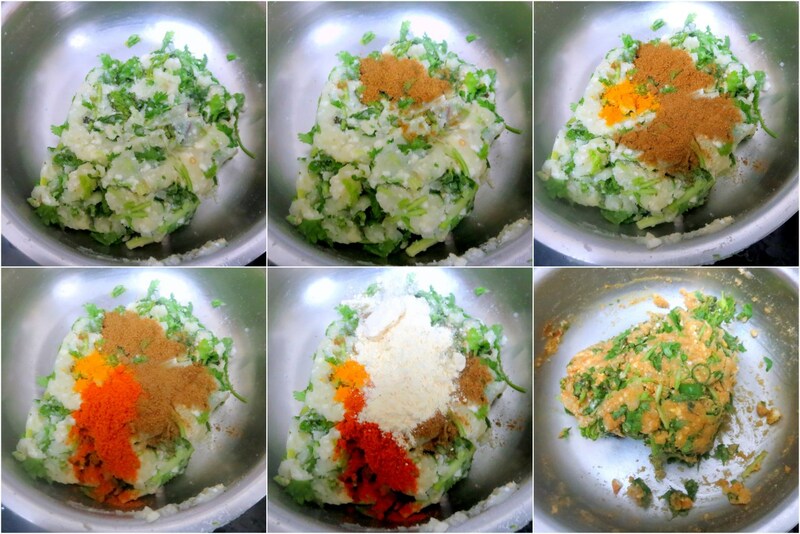 finely chop the coriander leaves and mix well. MW Potato for 5 mins, mash well. Take the mashed potato in a bowl along with the greens and mashed vegetables. Mix everything well. Now add the grated paneer, mashed boiled raw banana. Add the spice powders and combine everything well together. 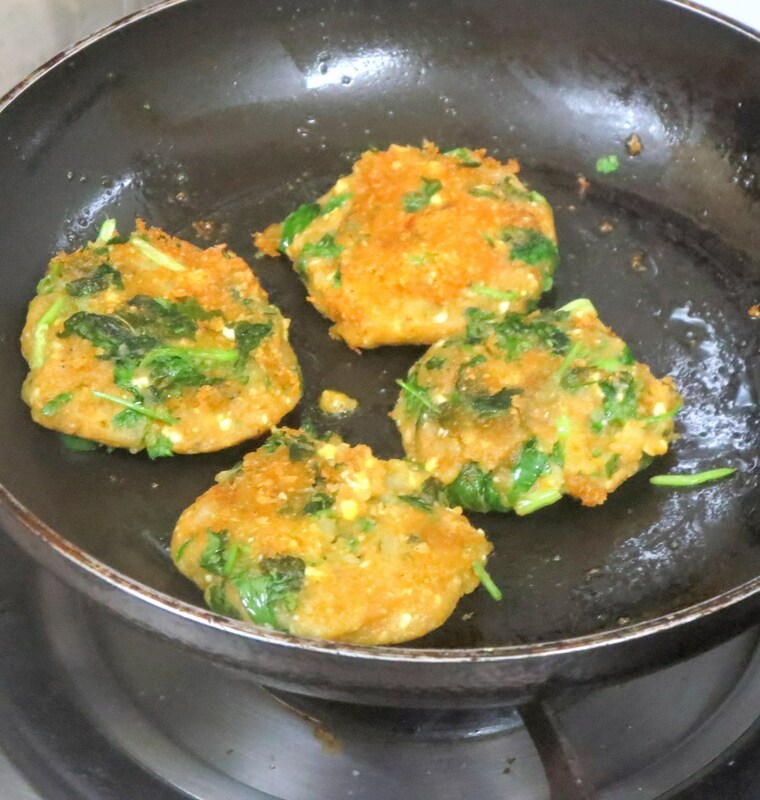 You can proceed to make the cutlets in your preferred cooking mode. I pan fried some and rest shallow fried. Serve with mint chutney and tandoori salad. The thaali looks awesome! Love the kababs with greens. I have never used raw bananas before. That sounds interesting. The kebabs look great and it is ok if there isn't too much spinach…most of the times the restaurants use a wee bit of green color. All those flavors blended together must have tasted delicious! I like its colorful look too. It looks delicious and has so many vegetables. Sounds like a yummy way to get kids to eat their greens. And congratulations for completing 7 years! salute! Though the kabobs are not green, there are specs of hara (green) in the kabob giving it a hara bhara look. We loved these kebabs when I made them last month.Looks so sinful that I am tempted to make again. 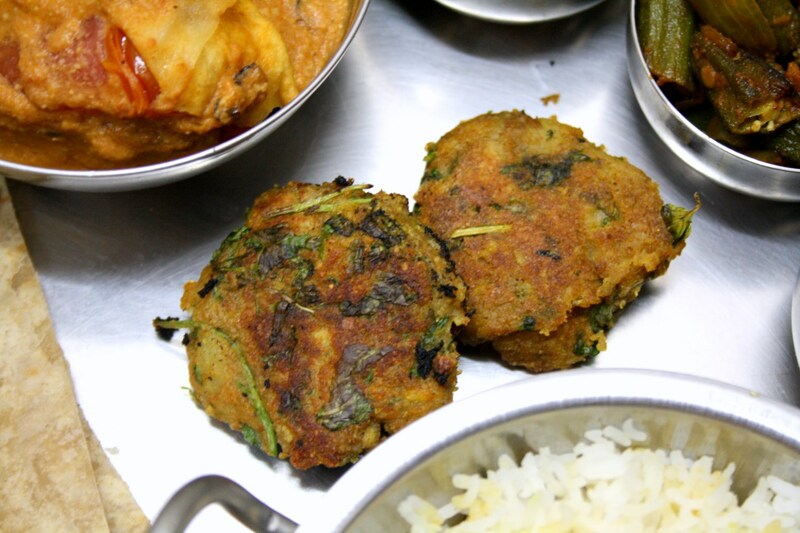 Kebabs are my fav, even i cant imagine a party without cutlets/Kebabs..
What a yummy looking hara bhara kebabs. They are definitely filled with so many veggies and herbs. All these kababs are a super hit at our place. Shall try this version as well. very delicious Raw banana and potato combo..tempting kebabs..